Plummer's Air Conditioning & Heating Inc. has grown steadily by word of mouth advertising and honest and ethical business practices. 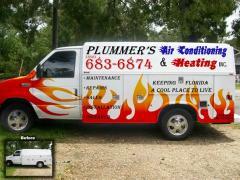 Plummer's has earned the reputation of being the most honest air conditioning company in the area. We continue to be a leader in the industry through continuous training, superior craftmanship, and above all, pride in our work and your satisfaction. 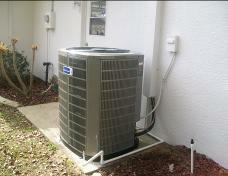 We are known to be able to repair systems that most others would condemn and replace. We have the training and skill to solve the most difficult problems. We can design a comfort system to fit any need, whether it is budget minded or high tech. We provide the most value per dollar of any company in the area. We have earned the respect of manufacturers, distributors, building officials, contractors associations, contractors, and most importantly, you, the customer. To the Coolest Customers, We thank you for the opportunity to serve you.